STC: Mobile Application|iOS|Android Application Development Company in Lucknow. We custom design, develop, test and deploy Android and iOS apps of your choice. 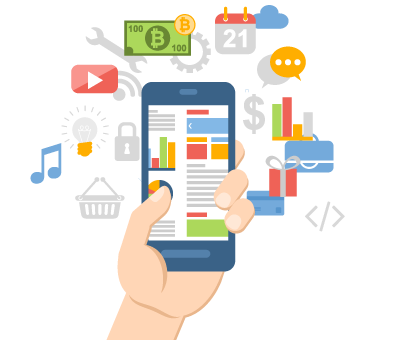 Our team is well versed with Android SDK and Apple’s iOS platform. Over the past two years, we have successfully released several customized mobile applications on these platforms which have helped our customers achieve significant cost savings, increase productivity and enter the fast growing market of mobile apps. Smartphones and Tablets have high resolution which supports visitors to browse the internet, surf web pages in a more convenient way. It is imperative that every website now should be optimized for the Handheld Devices.